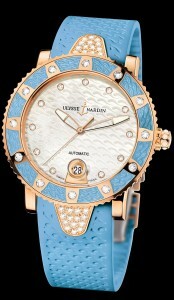 Rose Gold 40mm case, mother pearl diamond dial and diamond bezel, automatic movement, date, with exhibition case back. 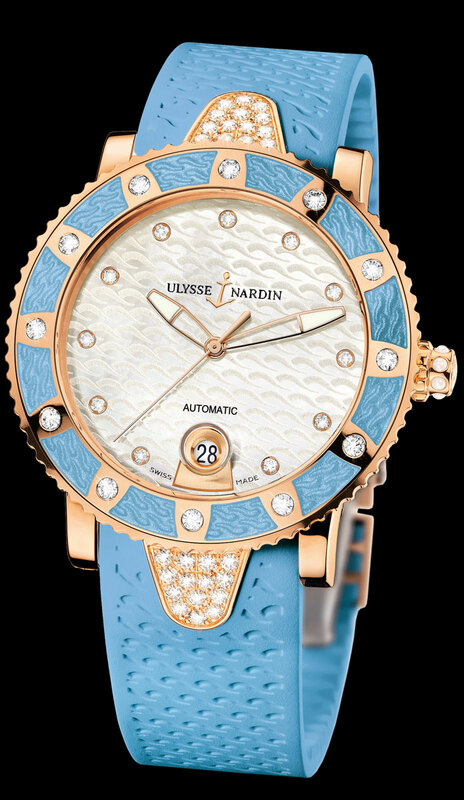 The rotor is 22KT rose gold is set with 20 full cut round diamonds and is etched with the Ulysse Narin name and anchor logo. Available on sporty blue rubber strap with rose gold folding buckle. PRICE $27,800 dlrs. Call us 956.687.2981.